In December 2017, the month-long Thomas Fire burned over 300,000 acres and devastated parts of Ventura and Santa Barbara Counties. The fire claimed two lives and destroyed over 1,000 structures. It also burned trees and other plants whose roots had stabilized the hillsides surrounding Montecito, an unincorporated area in southern Santa Barbara County. 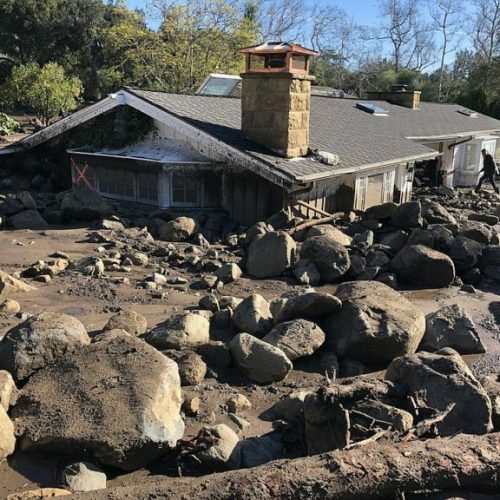 On January 9, 2018, in just five minutes, half an inch of rain fell over the destabilized hillsides, resulting in a debris flow of boulders, trees, and over 15 feet of mud in some locations— traveling downhill at 20 miles per hour. The flow subsumed everything in its path, tragically taking 23 lives and completely destroying 100 homes while damaging 300 more. Both the fire and the subsequent debris flow demonstrate the need for energy resilience in this disaster-prone region. 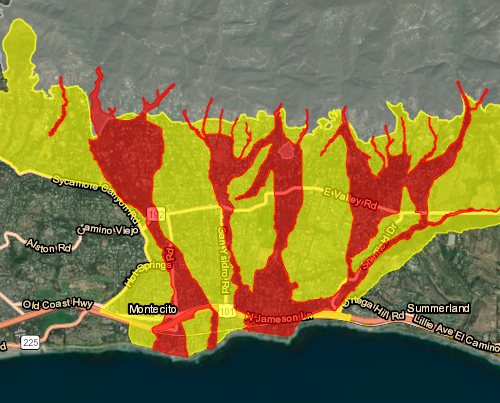 The devastated areas lie within the Goleta Load Pocket, a region that spans 70 miles of coastline encompassing the cities of Goleta, Santa Barbara (including Montecito), and Carpinteria. Because the Goleta Load Pocket is a highly transmission-vulnerable region, this community can benefit greatly from the resilience provided by local renewables. The Montecito Community Microgrid Initiative provides a unique opportunity to build back right while ensuring indefinite renewables-driven energy for critical emergency response and recovery facilities. This deployment of clean local energy will showcase the grid of the future and will provide an unparalleled trifecta of economic, environmental, and resilience benefits to the community. 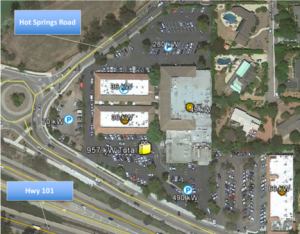 Stage a Community Microgrid for implementation that begins with the Montecito Fire Protection District headquarters, expands to include the Montecito Water District headquarters, including water wells and pumping stations, and then expands further to include an array of commercial properties within the Montecito Upper Village. 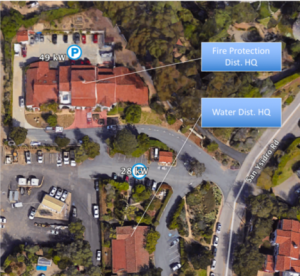 Create indefinite renewables-driven energy resilience for critical Montecito Fire Protection District and Montecito Water District facilities, as well as other critical facilities within the Montecito Upper Village. 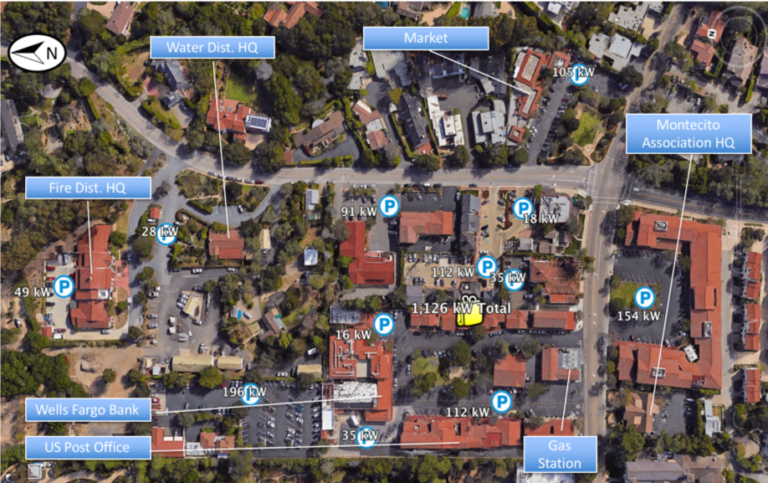 Stage a Community Microgrid in the Montecito Coast Village, which is part of the City of Santa Barbara. 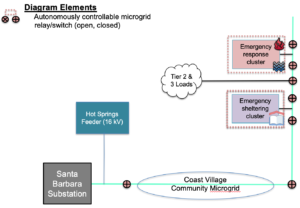 Provide a near-term showcase for additional Community Microgrids throughout Santa Barbara and Ventura Counties, and beyond. During a long-term power outage, Community Microgrids will keep the lights on and the doors open at critical and priority facilities, supporting the community. During normal operations, these clean local energy resources will also drastically reduce the carbon footprint of the community and will help advance regional, state, and global climate action goals. The Steering Committee for the Montecito Community Microgrid Initiative is driving this effort forward. For information on the Steering Committee, click the link below. A Community Microgrid is a new approach for designing and operating the electric grid, stacked with local renewables and staged for resilience. 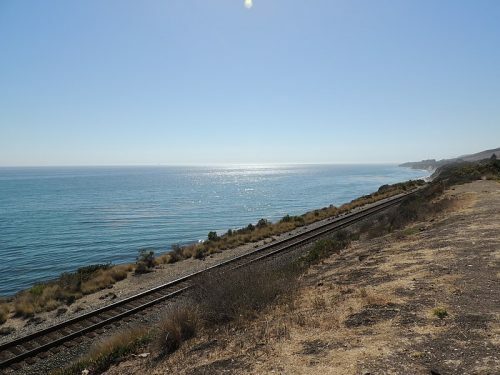 In October 2018, the Clean Coalition’s Craig Lewis and Gregory Young presented on what this opportunity could mean for Montecito and the Goleta Load Pocket. All sites listed here are tentative, and are currently pending consideration and approval. 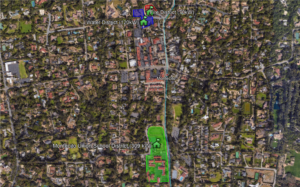 In Phase II, a Community Microgrid would be staged for implementation in Montecito Coast Village. This would include priority facilities for short- and medium-term rescue, recovery, and shelter. To learn more or to get involved in the Montecito Community Microgrid Initiative, contact Gregory Young at gregory@clean-coalition.org.